Sorry I wasn’t able to post a new blog on Monday. We were in Europe on a buying trip and just got back. I’ll start to list some of the new items in the next few days. 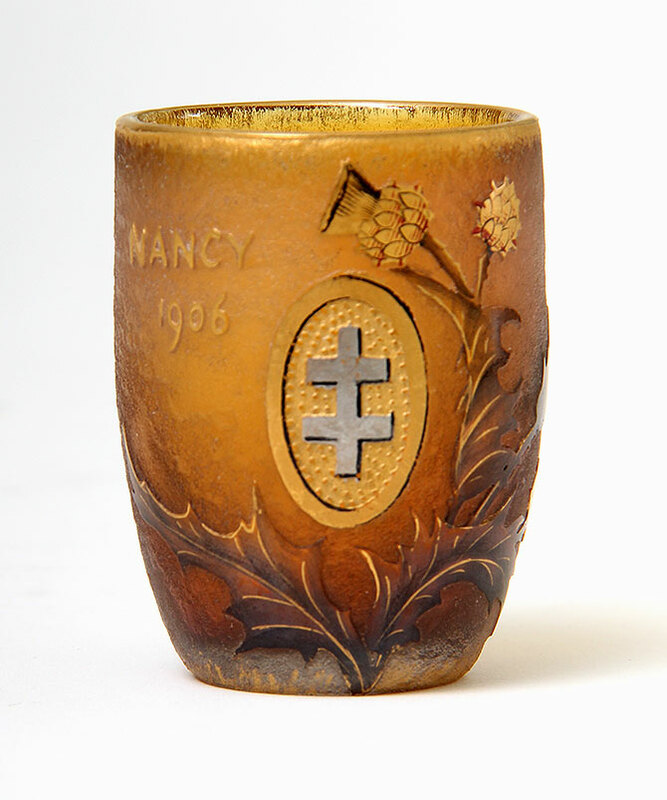 Daum Nancy French cameo glass is very much in favor and has been for many years, for good reason. The quality, workmanship and beauty are exceptional. There is no modern glass that rivals antique Daum. Aficionados worldwide, including the US, Europe, Australia, Japan, Brazil, and Canada have amassed impressive collections. 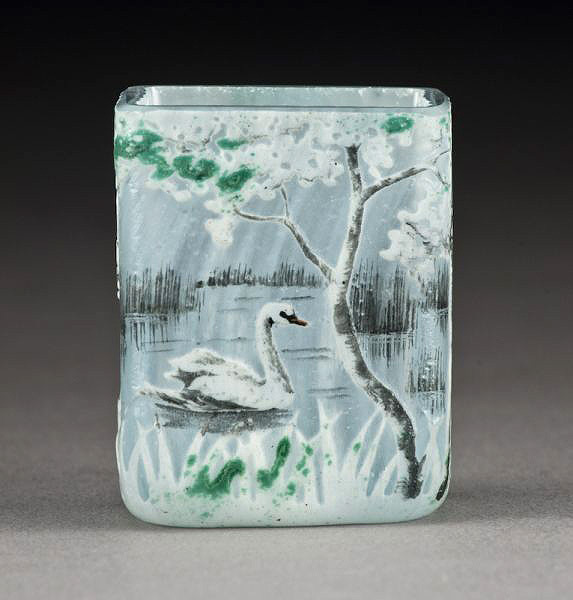 Attention to detail is one of the enduring qualities of Daum glass. 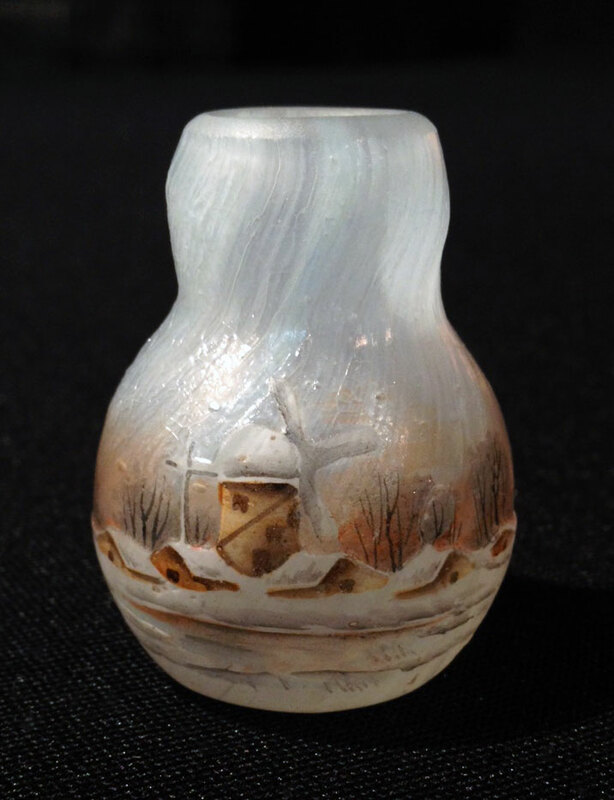 One might think that the detail would get lost on a miniature, but it’s the opposite. 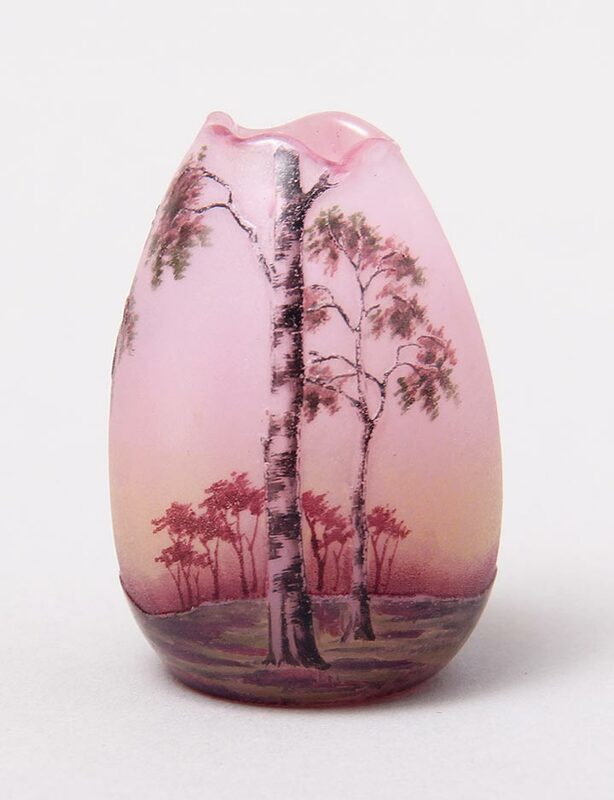 Daum miniatures are tiny works of art, under 2″ tall, with the same subject matter as the larger examples, including all varieties of flowers, forest and marine scenes, and birds. They also come in a wide variety of shapes, so it’s possible to find the same subject matter on different shapes. That makes for an interesting way to collect if one has a particular fondness for a certain decoration. Rarities include Blackbirds, Rain, and Swans, none of which I have to offer, unfortunately, as they really are rare and easy to sell. The quality of Daum miniatures has not changed over time, however prices have. The market has softened for them in the last few years by about 30%, while the rest of the Daum market has gone up. Seems like a great time to add to your collection or start a new one. Many models range in price from $750 to $2,000, with most in the $1,000-$1,500 range. Very rare examples still sell in the $2,000-$5,000 range. 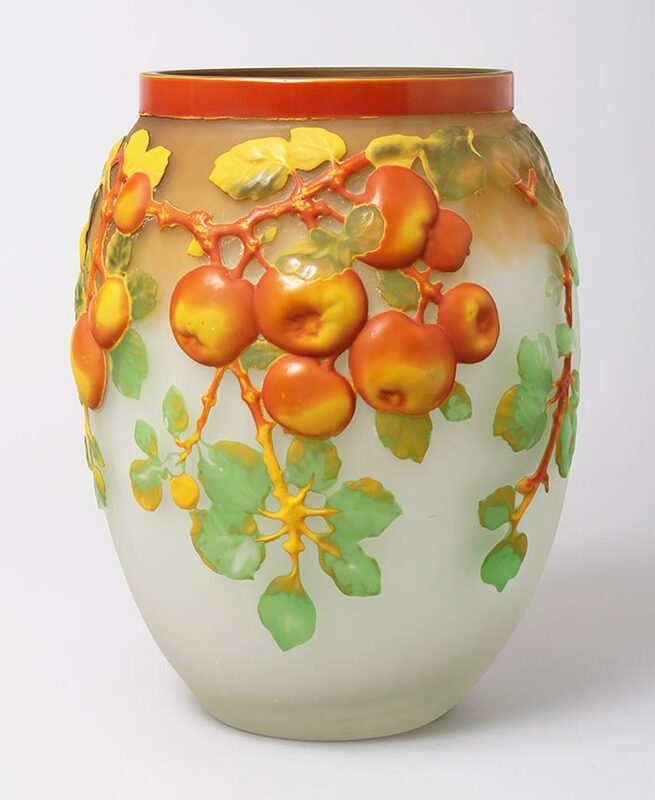 I’m assisting Art & Antiques Magazine with a feature article on Daum Nancy glass for an upcoming issue. It’s possible that the publicity will generate further interest and boost prices. That’s pure speculation on my part, but good publicity never hurts. Emile Gallé never lived to see the innovations that took place at his factory after his death in 1904. 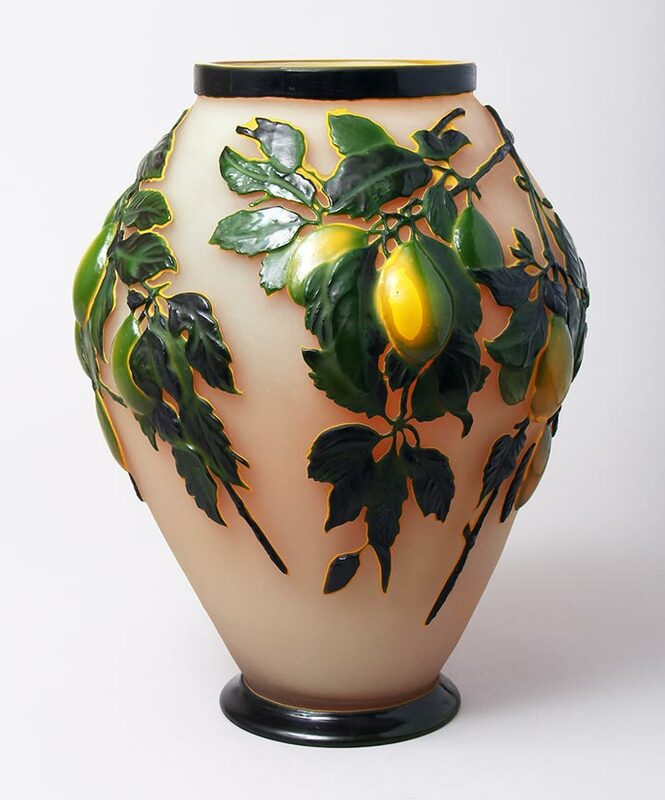 In the 1920s compressed air was used to inject molten glass into molds (just like Lalique vases). These vases are referred to as blownout, mold-blown, or soufflé — all interchangeable terms. 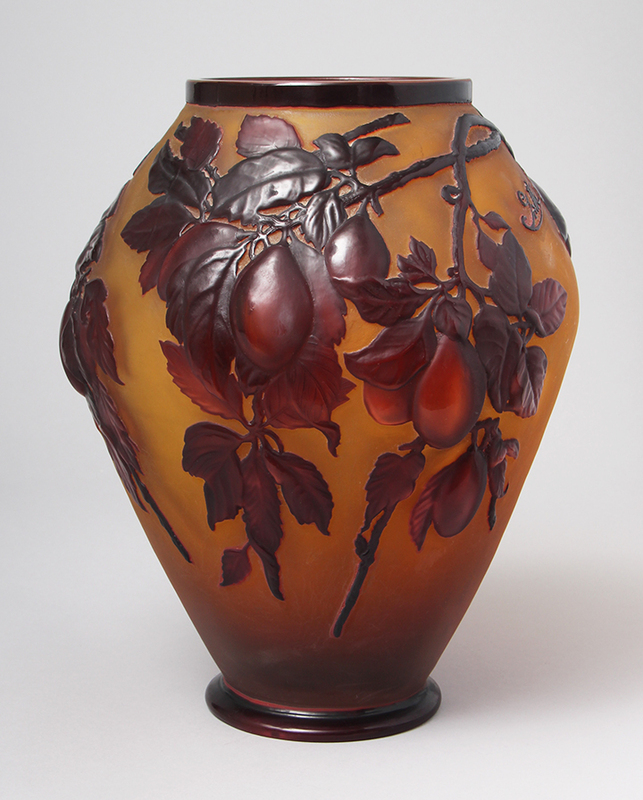 After the vase was formed in the mold, it was treated like other cameo vases. 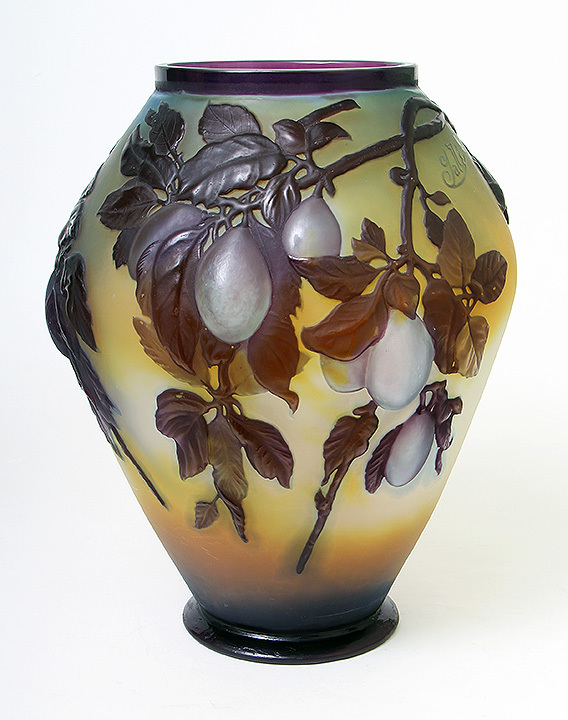 Layers of colored glass were applied to the molten vase, one on top of another. 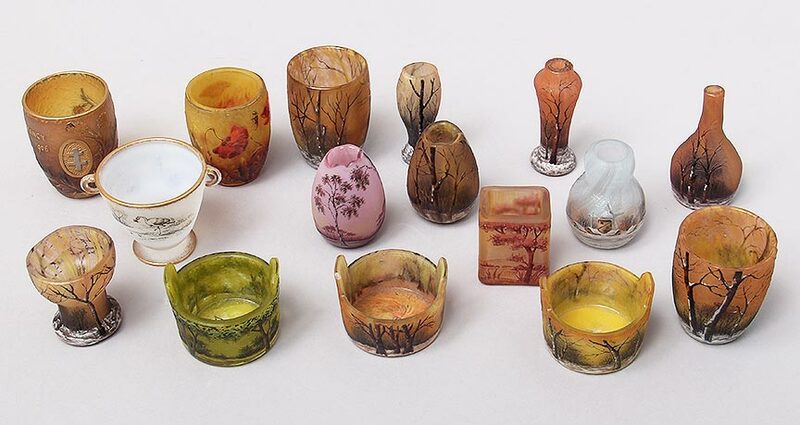 Upon cooling, artists used wax resists and hydrofluoric acid to etch the designs and reveal the colors below. This meant that the same model could be made in many color combinations. 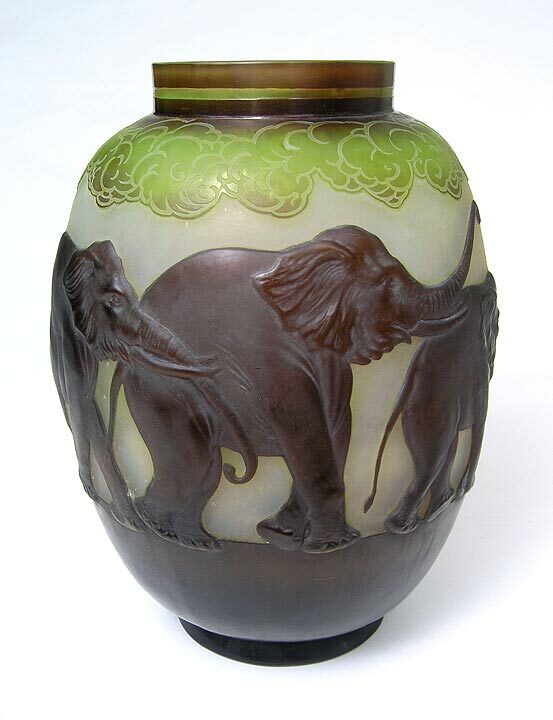 I estimate there are approximately 50 different models of Gallé blownout vases, with the Elephant and Rhododendron models the rarest and most valuable. Prices vary over time and not always up. Prices for the more common models have softened in the last year, so it’s a really good time to add to your collection. It’s similar to the stock market. I add to my portfolio when a stock I like goes on sale. This is your opportunity. Today’s prices range from under $10,000 to over $200,000. Most models are under $20,000.